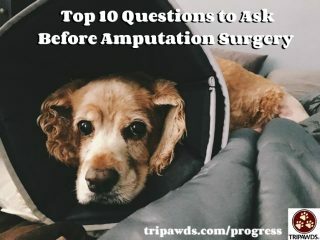 When your veterinarian drops the amputation bomb, be prepared for the conversation with these Top 10 Questions to Ask Before Amputation Surgery for Dogs and Cats (Part 1). 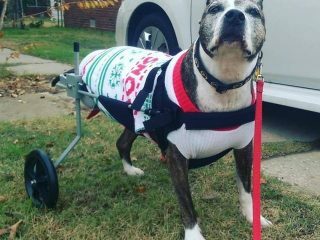 Worried about the big day your pet loses a leg? Of course you are! 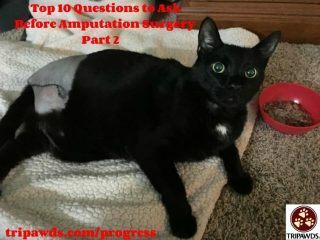 Here’s what to expect on amputation surgery day for your dog or cat. 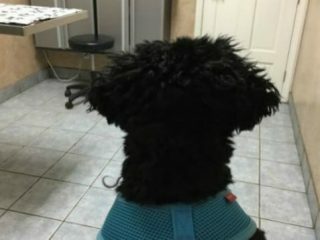 Exciting new limb sparing surgery for dogs with osteosarcoma may lessen the infection rate and risks of this historically expensive and complicated procedure. Spree the life-long Tripawd breaks leg but bounces back thanks to ongoing rehab therapy and excellent pain management by Connie Fredman at Canine Health Resort in Fort Collins, Colorado. 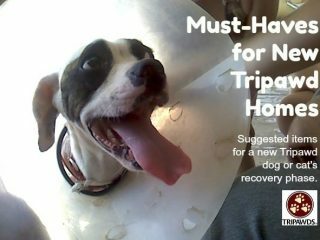 Got a new Tripawd? 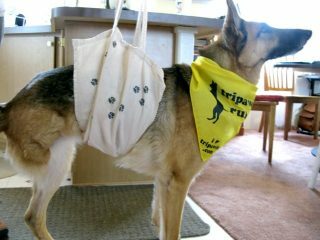 Learn how to make this easy, cheap DIY dog sling for your new three-legged hero. 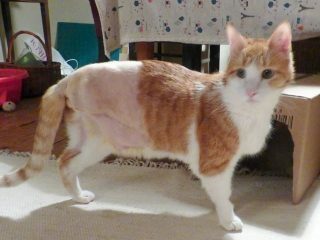 MRSA in amputee dogs and cats can be successfully treated, if you and your vet act quickly. Here’s how to help your pet beat the MRSA diagnosis. 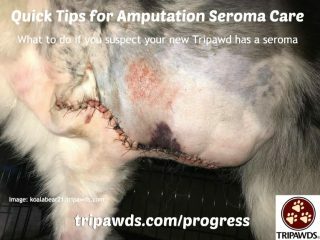 Want to help your new Tripawd feel better? 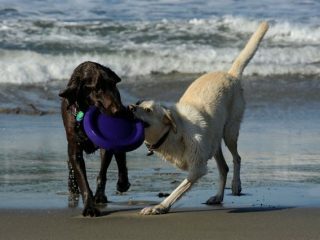 Check out these heat and ice therapy tips for Tripawd cats and dogs.